Nearly every category of the human experience has appeared on the covers of songs: love; war; sorrow; home; loneliness; wealth; poverty; comedy; tragedy; beauty; ethnicity; rapture; and lust. Is there any statement called-for that isn’t already expressed in a song title? 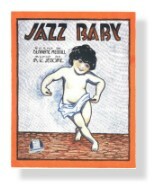 May I take you along on a tour of popular song as pictured on sheet-music covers? Paul Riseman - On-screen site for sheet-music and 78-rpm record auctions and sales. ISU Music Library’s Kirk Collection of sheet-music - See also UCLA, Johns Hopkins, Rutgers and Tulane. LA Public Library - The LA Public Library has faxed me many tunes I needed from their large collection. Check your city’s libraries, too.